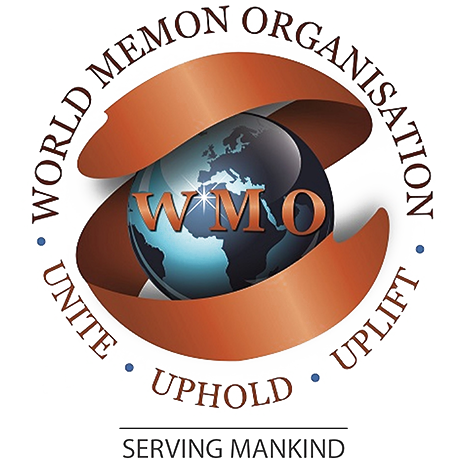 The Memon Association UK has grown since its formation in the early seventies from a body with modest activities such as the observance of a few religious functions, to an association that now cultivates and promotes an ever-widening involvement in Muslim and community issues on a much wider scale. The Memon community sees itself as having such a primary identity with shared interests, relations and values over a wide spectrum. Like the universal Muslim community of which it is a part, the Memon community is a community based on faith. Indeed, the word 'Memon' comes from the Arabic 'Mu'min', meaning 'believer' and which was given to our forbears who first converted to Islam. It is a matter of privilege and honour that the Memon community has been in the forefront whenever there is a call for help whether from relief organisations or from individuals suffering hardship. It is part of its history that they are closely linked with providers of humanitarian assistance. Compassion, generosity, self-help and integrity are on the list of priorities for the Memon Association. Becoming a member of the Memon Association UK is easy, simply fill our online form and we will approve your request once the review process completes.